If the design brief for your nursery is cool, classy and contemporary then boy oh boy, do we have the perfect multitasking storage option for you. It’s the all new Pod Dresser from the ultra stylish crew at Ubabub. It’s both smart and sleek with an air of sophistication, but best of all the all new Ubabub Pod Dresser, priced $1499, can be used from day one, right through until they (eventually) leave home. The perfect accompaniment to the Pod Cot, its high gloss white finish with sustainably sought ash timber legs brings effortless style to any modern nursery, doesn’t age and will look as stupendous in your nursery as it will your teen’s bedroom. Ubabub’s change tray and change pad is included in the purchase price and can be removed when toilet training is accomplished! 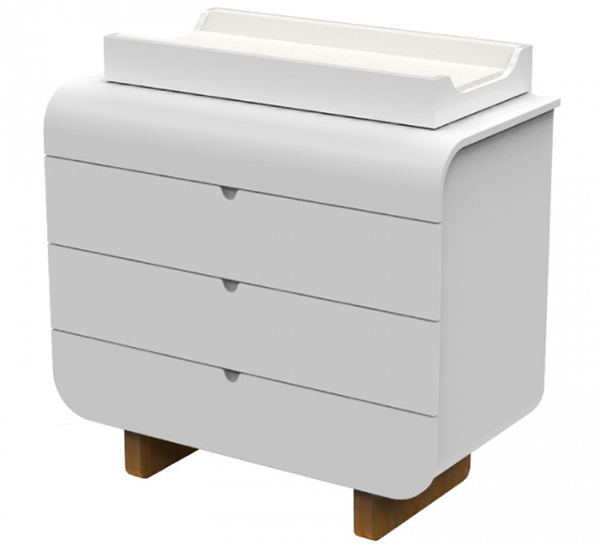 The three generous drawers have plenty of room for clothes, much loved treasures and nappy changing essentials and we love the finger saving potential of the soft closing drawer mechanism. 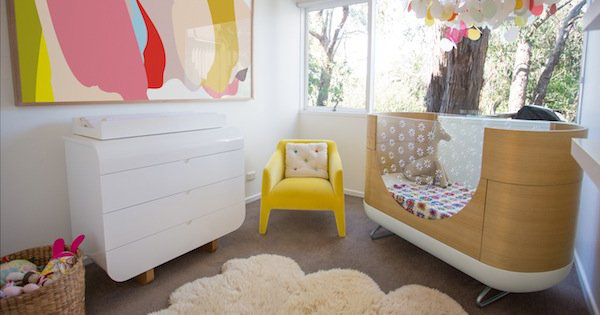 Be sure to look back through our Ubabub posts for more from this Australian company that delivers the coolest of nursery gear including cots, book shelving and divine wall art.